The Solomon Online Lecture Series: Recovery Coach Edition: click here. Purchase access through the online store here, or call 865-429-0450. This is an online module designed for those who desire further equipping to minister to the needs of hurting people. Pastors, missionaries, counselors, physicians, psychiatrists, psychologists, social workers and lay people, can all profit by this lecture series. The Series is named after Dr. Charles Solomon, founder of GFI and pioneer of Exchanged Life Counseling. The Exchanged Life Conference is a prerequisite, and most who register for this online series do so after attending the Spirituotherapy Workshop. These online lectures are viewed at one’s own pace without time restriction. This module has two track options: Exchanged Life Counselor (this page) and Recovery Coach. For the Recovery Coach Series, please click here. 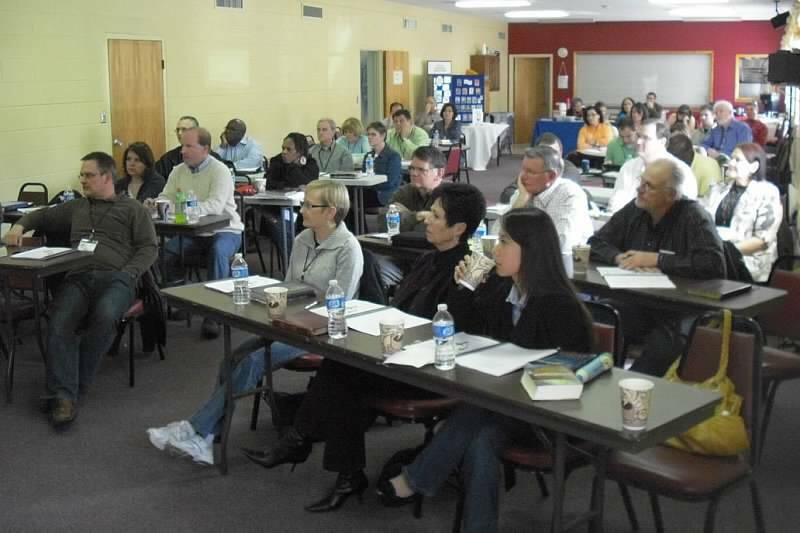 The live Solomon School was conducted in March and November in Tennessee 2002-2012. The Lecture Series includes over 25 video lectures and notes. Tuition is $325. A spouse may audit the module at no additional cost, or get credit for an additional $100.00 fee. To inquire and register, contact Dr. John Woodward: john@gracenotebook.com. Prerequisites: GFI Exchanged Life Conference (live or via media). Books read: Handbook to Happiness, The Ins and Out of Rejection, and Handbook for Christ-Centered Counseling. These are all authored by Dr. Solomon and available from GFI. If you register for the Spirituotherapy Workshop and Solomon School at the same time, the GFI Conference is free (as a live event or online). Students may inquire about attending the Conference, Workshop and Solomon School for practicum credit at Luther Rice Seminary and University. Please contact Dr. Ron Cobb at LRU. As of May 2017, ministries that are developing teams of biblical counselors have the option of purchasing a site license for this module for a one time fee of $975.00. With this arrangement, the team members will have access to the content at no cost to them personally, and the team can view and discuss the video lectures together. To discuss and/or request this site license, please call GFI at 865-429-0450. Registration for this module is $325 and can be processed by the GFI online store here or by phoning 865-429-0450.